Kingsbarn's Executive Vice President Jeff Farnsworth is a seasoned executive with extensive hands-on experience in business leadership, operations and finance. Jeff has a demonstrated track record of analyzing business conditions, implementing sound corporate procedures, and significantly enhancing the financial strength and overall efficiencies of businesses. He is instrumental in directing Kingsbarn's expansion strategy, opening additional offices in Orange County, San Francisco and Seattle. Jeff oversees the creation of new revenue channels and the growth and maintenance of investor relationships. Prior to Kingsbarn, Jeff founded and co-founded three companies focused on business and real estate acquisitions. Jeff directed the organizations' overall financial positions, liquidity, growth, and financial stability. Throughout his career, Jeff has cultivated excellent banking and investor relationships, acquiring over $100 million of corporate assets and financing. 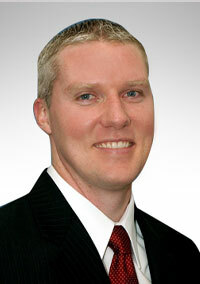 Jeff received Bachelor of Science degrees in Finance and Human Resource Management from Southern Utah University. He also was awarded a Master of Business Administration from Utah State University's Jon M. Huntsman School of Business.